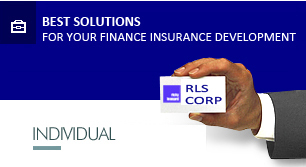 RLS GLOBAL INDONESIA (RGI) is Risk & Finance Management Institution. The RGI was established on December 2003 in Jakarta, Indonesia. We are the business entities of Risk & Finance Management Corporation in the form of Companies and Professional Institution in accordance with the Laws and Regulations of Risk & Finance Services Technology, Private & Investment Banking (Transaction & Finance Management Services), and HC Benefits & Advisory Services in Belgium Europe & Indonesia. We offer a wide range of Risk & Finance Management Services to our clients, as follows: Risk & Finance Services Technology, Private & Investment Banking (Transaction & Finance Management Services), and HC & Benefits & Advisory Services. The tremendous business growth by our clients and their increasing requirements offer us immense challenge and great opportunity to assist them in improving their performance. Thus, we always strive to give our best to develop and increase our quality of professional services to embrace to the challenges and opportunities. We expect that with our excellence knowledge and broad experience as well as support from our Worldwide affiliation, we could deliver value services to our clients and become an imperative part of the global community, gathering the challenge and commitment of defining the future of ourselves and for those we serve as well. Mr. Ricky Leonard is Managing Partner RGI (RLS Global Indonesia). He is actuary & finance specialist. He has capability, experience, and integrity in the sectors of Worldwide Risk & Finance Services for 25 years in Companies as follows: European WW Risk & Finance Services Technology Belgium, Private & Investment Banking (Transaction & Finance Management Services), HC Benefits, Advisory Services, and European WW & Asia Pacific Life insurance@Wealth management@Reinsurance Companies. Our major clients are Worldwide Largest Insurers, Pension Funds, Banks and Corporations in Fortune Worldwide 2000, Indonesia Corporations, Banks, Insurers and Pension Funds in Fortune 100 Indonesia, BUMNs, BUMDs and Foundations.